These ice blocks are BRILLIANT. Made with jelly and water, they hold extremely well together, meaning when eaten by your child (or you), they don’t drip! That’s right – NO DRIPPING! I used both Kai Carrier Icicle (Kai’cicle) pouches AND an ice block mold to store the ice blocks in. 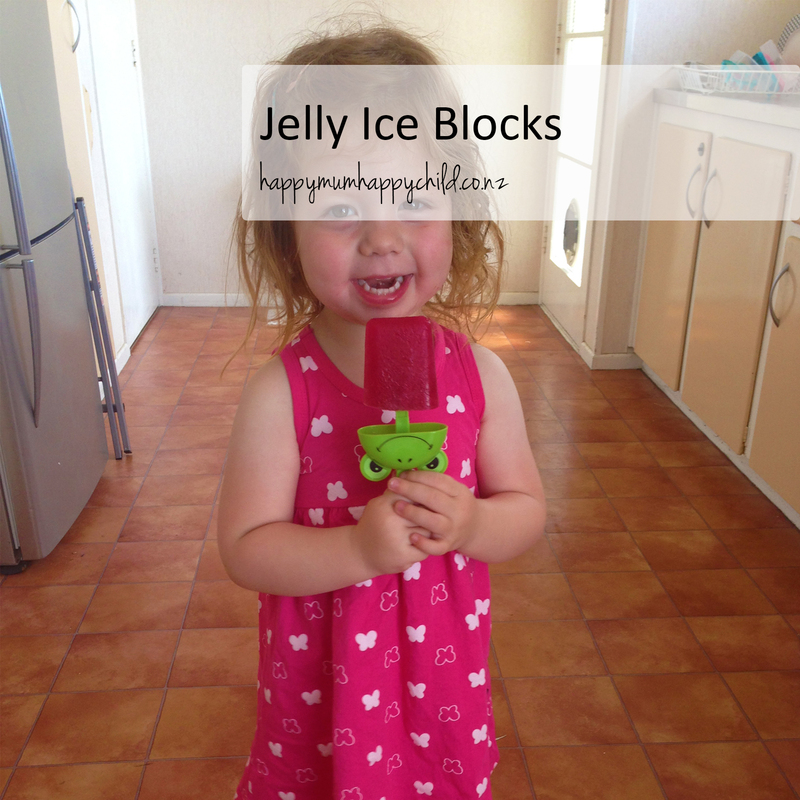 Personally I found the pouch easier to use because my kids never finish an ice block, so I can re-seal it and pop back in the freezer. I scored the Kai’cicle Pouches from August Boutique ($5.50 for a pack of 5), and I can say without a doubt, they are amazing. Add the Jelly and boiling water together in a bowl. Stir until the crystals have dissolved. Next add the cold water. This just brings the temperature of the water to a cooler temp meaning its ready for the freezer. Pour the liquid into your Kai Carrier Icicle pouches (or Ice Block molds). Put in the freezer until frozen. If using the Kai Carrier pouch, you just need to squeeze the pouch and ENJOY! If it’s a little difficult, place the pouch on the bench and push down whilst squeezing, the ice block will come out. If using an ice block mold, you may have to run under water to get the ice block out. If your child doesn’t finish their Ice Block, just leave in the Kai’cicle pouch, reseal and return to the freezer.